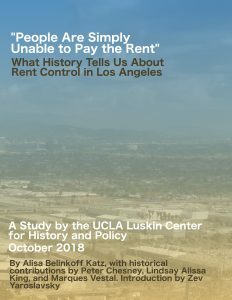 The paper presents several options that could help ameliorate the economic vulnerability and anxiety of the city’s growing number of rent-burdened residents. 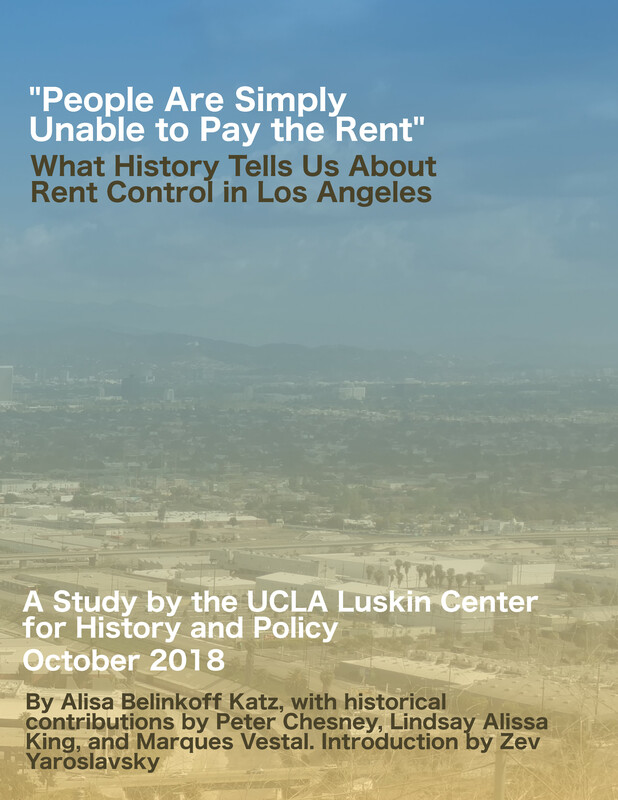 The study is the first major publication of the UCLA Luskin Center for History and Policy, which was founded in 2017 with a mission to bring historical perspective to contemporary policy issues. To read the paper, click [HERE].